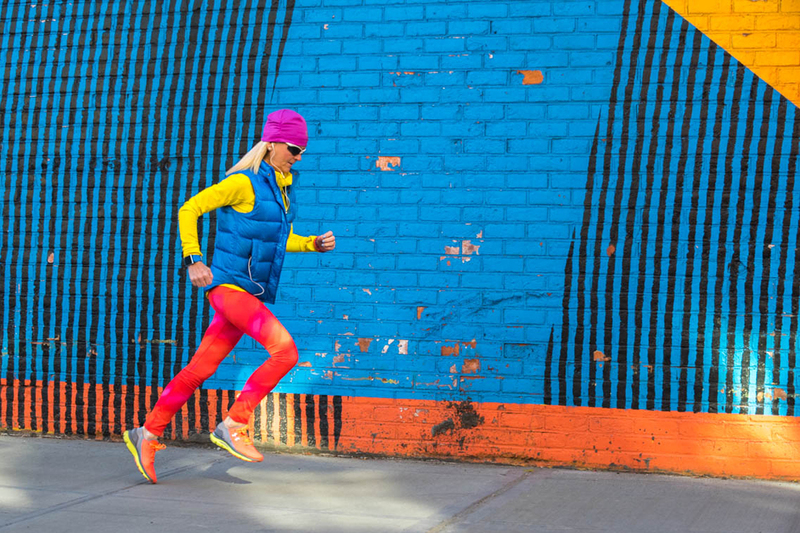 Fastinista’s is a term that Runner’s World magazine coined to describe women who like to look stylish when they run. 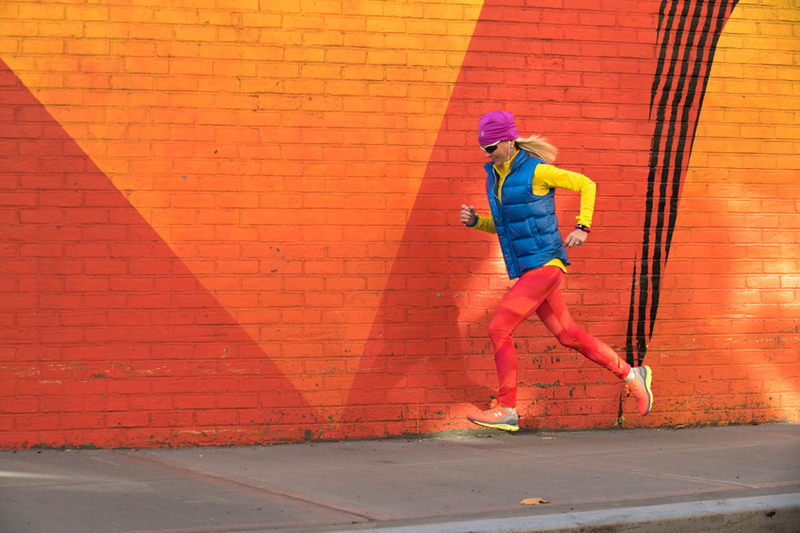 I consider myself among the color packed kaleidoscope of women runners who choose aesthetically pleasing running gear (that performs well.) 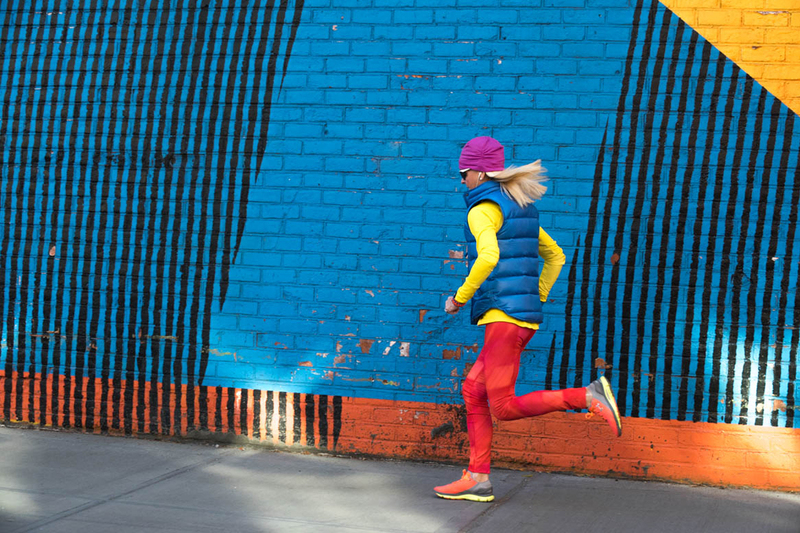 Actually, I find it to be a state of mind, and like my shopping habits, I always go for the color, the brighter the color, more incentive I seem to have to stay on the course a tad longer to get the run done. 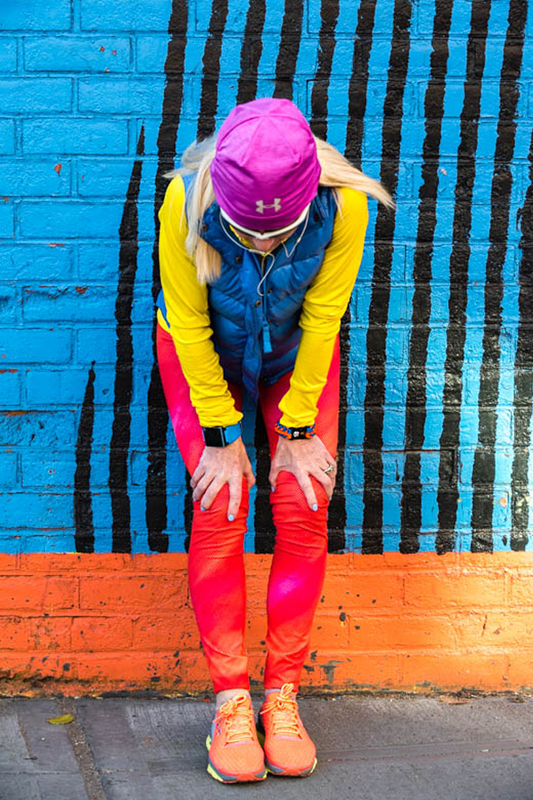 There are now so many cool options (and few new labels) to choose from – the color me pretty concept is a provocative option that gets me up and out the door for a run that much quicker. 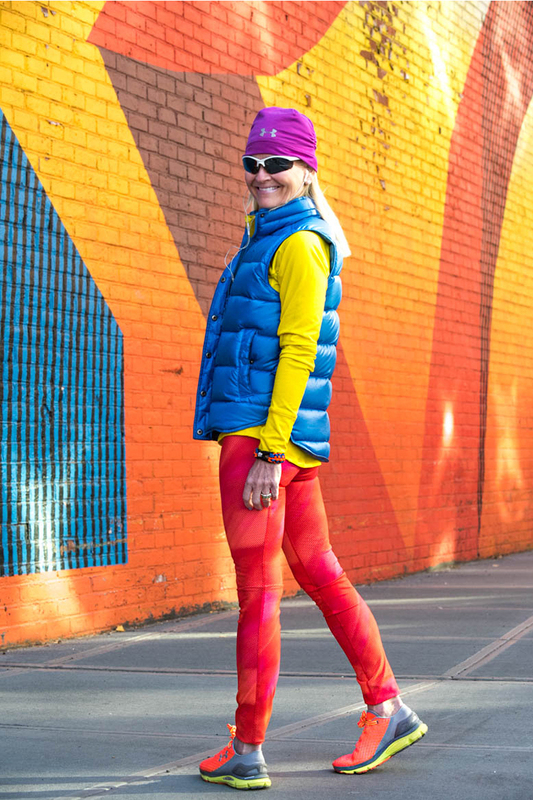 I still sport the classic NYC monochromatic uniform, from time to time, but my runners rack runneth over with whimsical patterns, bright colors and all the accessories that I can muster up to feel as good on a 10 miler as I do on my 1/4 mile walk to work. Living in a hard edged city like New York precipitates the copy cat conundrum of dress, it is mostly dark, heather grey, black, silver (car colors, essentially) but along came the Spanish and Swiss spiders with their fancy footwork and influencial work out gear and the American competitors were shamed into creating Crayola-like campaigns to up the playing field. Some of the big brands also began to introduce functional iridescent pieces, with major pops of color that now cheerfully adorn NYC’s greenstreets to brighten the brick, light the limestone, illuminate the dark, challenge the sun and add glow when the traffic is slow. The smaller retailers eventually followed suit and held back on the pro forma black leggings allowing more kick to the wick to penetrate their workout inspired window displays. Running is as natural a high for me as a great day of shopping, so it comes as no great surprise that I can get as much enjoyment out of a well composed (and well thought out) running ensemble as I would while sporting the hottest pinks that Kate can offer, the loudest prints that Lilly designs or the retro 60’s colorblocks that Elizabeth McKay coordinates. “Honk if you like color” – read a recent Nike billboard on Houston and Lafayette Streets and even on a really grey day on this nondescript, colorless corner, the yellow and green taxis, obliged, however it may have been less about the hue and more about the queue, as New Yorkers are always on the run and dyeing to look good.